Following the success of the last Winter Retreat Day, I am going to be hosting a Spring Retreat Day in Oxford on Sunday 8th April 10.00-16.00. The retreat will cover basic Qi Gong exercises, walking meditation, a walk in nature, lunch and a Chinese tea ceremony with seasonal teas. It will be a good occasion to discover the restorative power of traditional Chinese health and longevity practices, tune into the Spring season and enjoy the company of new friends. The retreat day will be relaxed, friendly and is open to all. No previous experience or knowledge is required. I will be leading the retreat and will be be joined by my good friend Mark Pogson. Mark is a very down to earth, approachable teacher who has practised Tai Qi and Qi Gong for over 20 years. He has an easy to follow, accessible teaching style which he will use to teach a basic set of Qi Gong exercises in the morning. After some Qi Gong we will share some time for walking meditation, followed by an optional walk along the river or across the beautiful Port Meadow before enjoying lunch together. After lunch and a rest, we will come together for a Chinese tea session. In the tea session we will drink fine, rare Chinese teas, learn about the tea ceremony and the health benefits of teas. Along with tea appreciation, it is also the perfect, quiet occasion to discuss health, philosophy, culture, meditation, Chinese medicine - whatever comes to mind. Strangers will leave as friends. Our venue is a beautiful converted barn on the edge of Port Meadow in Wolvercote Village. This tranquil, historic place feels a million miles from Oxford - despite being on the edge of the city. £50 per person. Places are limited to 10 people. Qigong (also known as Chi Kung) means the cultivation of energy. It is a gentle form of Chinese health exercise which emphasises softness, natural movement and the release of tension to improve health and vitality. Qigong is considered a pillar of Traditional Chinese Medicine and is sometimes described as the “Grandmother of Tai Chi”. If you are a long term patient or regularly use acupuncture for general wellbeing here are two ways in which you can get reimbursement for treatment costs. Many patients at the clinic have benefited from these over the years. It's always nice to have a helping hand if it works for you. If - like 88% of the UK population - you don't have private health insurance, but are someone who regularly has acupuncture it may be worth considering a Cash Plan from Simply Health. It is well worth it if you are pro-active about your health. The plan allows you to pay a fee from £11.88 per month which covers you for reimbursement - 'cashback' - for a number of health related expenses. It also covers children free of charge. Depending on the level of the plan you can claim up to £200 for acupuncture, with combined benefits of up to £1500 for osteopathy, dentistry, opticians, chiropody, physio and diagnostic consultations. Many patients at the clinic use it, I use it personally and as yet have found no issue with getting reimbursed quickly. Often the treatment fee is paid into your account the day after you claim. Please note - I have no connection with Simply Health. I just think it's a scheme worth passing on. I am an Associate Practitioner with the charity Arthritis Action (AA). AA are a leading UK charity who fund arthritis research and support members with advice, information and funded services. Members are entitled to £60 per year towards the cost of acupuncture and other physical therapy treatments - osteopathy, physio and chiropractic. Membership has a host of other benefits and costs around £15 per year. This post is inspired by conversations with a number of patients recently who have been on antibiotics. An analogy I enjoy is that taking antibiotics is a bit like trying to roast a chicken by burning your whole house down. Of course you want to roast the chicken, but there is a bigger price to pay. The issue of over prescription of antibiotics is not within the scope of this article but if you are taking or have taken antibiotics recently I agree that you should take steps to restore healthy gut bacteria. How you do this is the focus of this post. How much are you paying for 'probiotic' yoghurt? The global value of the antibiotics market in 2016 was $39.8 billion. The global value of the the probiotics market in 2016 was over $35 billion. I am not here to peddle a conspiracy theory. Merely to point out that is a heck of a lot of probiotic pills, supplements, yoghurt drinks and ‘functional foods’. One of the reasons why this market is booming is because we are now a global community of germophobes. For decades, ads have been promoting cleaning products showing conscientious mothers in gleaming kitchens killing ‘99.9% of all bacteria’. We have happily set off to wage war with all bacteria so that the only ones we can trust are the ‘friendly’ ones being sold to us in the form of supplements, yoghurts drinks and pills. It’s a classic move. Sell us the problem and the solution. If you’d prefer not to shell out £12.00 a month on a well known Japanese yoghurt drink, you could do a lot worse than cutting up a cabbage, sprinkling on some salt and giving it a massage. 1 kg of sauerkraut can be made for £1.50 and will give you all the good gut bacteria you need for about 2 months. It takes about 20 minutes to make and 7 days to mature before it’s ready to eat. I make a batch every couple of months and it is now a staple of my diet containing a much wider range of naturally occurring bacteria than you would ever hope to find in a pill or supplement drink. It really could not be cheaper or simpler. For a great video tutorial on the subject check out the wonderfully passionate and charismatic Sandor Katz - world expert on fermentation of everything from sauerkraut to sourdough. One such ‘reinforcing therapy’ practiced in winter in China is the use of herbal foot soaks. Dr. Jiang Zaifeng - a prominent Shanghai TCM doctor - explains “the feet are very important in health maintenance. The ancient Chinese often compared the human body to a tree, with the torso as the trunk, the arms the branches and the feet the roots….a dying tree withers first in its roots, and an aging person first feels their health recede from the feet”. This folk medicine is known by all Chinese people. In the West we worry about wearing a hat and scarf to protect against the cold, in China the main concern is for the feet. Throughout winter walk-in spas on every city corner that offer herbal soaks, massage, reflexology and foot manipulation have a brisk trade. Each spa has a secret herbal soak recipe but they are usually based on a mixture of warming herbs to improve circulation. In Chinese Medicine, this 'reinforcing therapy' is sound advice. There are six acupuncture meridians (channels) that extend down the lower legs and over sixty acupuncture points on the feet. Stimulating these points and channels is a simple treatment to support good health and circulation. In clinic, a symptom I often see among patients is cold extremities. Hands that never warm up and feet that feel like iceblocks. This poor circulation can lead to feelings of cold spreading up the lower legs through the acupuncture channels that affect menstruation, bladder function, digestion and lower back health. Foot soaks are best done before going to bed. Do not soak feet within 60 minutes of eating or after drinking alcohol. If you feel faint or dizzy stop your soak , and lie down with your feet elevated, or add cold water to the water basin. Boil the ginger slices in 500 ml of water for 5 minutes to create a ginger ‘decoction’. You can do this is a pan or put them straight into your kettle. While this is boiling away lay your towels on the floor to catch any splashes, then set up your basin next to a comfortable chair. Add warm water to the basin, then add your ginger decoction and alcohol (if using) to more hot water in your basin. The water temperature should be about 40-50C. You can always top up with more hot water if you like. The water should come up to middle of your calves. Soak feet for 15-30 minutes or until you break a slight sweat. Pass the soaking time by relaxing or by massaging your feet and lower legs in the water. This week's blog topic is a diversion from classical Chinese wisdom but the wisdom contained in these books certainly qualifies them as a tool for Nourishing Life. I have two book recommendations for Christmas. If you are interested in meditation or need to undertake anything that requires deep, uninterrupted focus I cannot recommend them more highly. The practice and benefits of mindfulness or mindful meditation have been widely studied in recent years. Some purists have been critical of secular mindfulness practices, bemoaning that the apple has fallen too far from the bodhi tree. I have no opinion on how one accesses meditation - whether it be secular or spiritual. For me, all roads can lead to Rome and the benefits of a regular meditation practice are extremely valuable. My personal experience of teachings about meditation happen to have come from a Buddhist perspective. If this perspective is interesting to you, then Zen Mind, Beginner's Mind is the quintessential beginners text on Zen practice, philosophy and meditation. If you have tried meditation or mindfulness, and would like to put more philosophical meat on the bones - this is a brilliant place to begin. He shuts his computer down at 5pm every weekday and stops working. No more emails. No more work. The day is done. He then goes home and spends the evening and weekends with his young family. Cal gets his news from a newspaper and public radio stations. He has no social media accounts and until very recently did not own a smart phone. Cal is also Professor of Computer Science specialising in distributed algorithms at Georgetown University. He publishes an average 50% more peer-reviewed journal articles per year than his colleagues. He runs a successful Study Hacks blog for college students and has authored four books. One of which is called Deep Work. If you want to stop wading in shallow tasks and get laser focussed this book is for you. James Thirlwall is one of only a handful of practitioners in the UK offering Restorative Acupressure - also known as Deep Qi Restorative Bodywork - a style of very gentle body work used in the Yin Style Bagua system of Chinese Medicine. It is the Chinese Medicine equivalent of Cranial Sacral Therapy or Yin Shiatsu. It is quite common to experience tangible sensations of flow within the body - these can manifest as pulsing, waves, shaking, vibrating or radiating heat. If you would like to have Restorative Acupressure treatment before December 21st it can be booked for 60 minutes for £40 - usually £60. This article has been adapted from a piece I was asked to write for the British Acupuncture Council magazine. The magazine column I contribute to is called ‘The Qi of Tea’. In it I give advice to Chinese medicine practitioners on using tea in Chinese medicine, tea rituals and the art of tea. This is collectively known in Chinese as chadao - the Way of Tea. The theme of the magazine issue was honesty and integrity. In that spirit, it is important that I declare an interest here as I run an organic tea company! This, however, is not an advertisement for tea, but more an encouragement to take time for a tea break each day in which you can stop and reflect on life. “This issue’s theme of honesty and integrity neatly coincides with what can be a somewhat perverse and misleading time of the year - the ‘festive’ period. Second only to the runaway consumerism of Coca Cola Christmas is the festive fallacy that is …. the New Year’s Resolution. ‘New Year. New You’. Have you ever seen that in your inbox on January 1st? The year turns. Gym memberships boom - then bust. Festive frolicking gives way to a dry and joyless January as we switch gear from excess to abstinence. We get swept up every year and yet it can make us feel uneasy and empty. Come February our resolutions have lost their lustre. Somehow we got duped. As an advocate and practitioner of Chinese Medicine it's clear to me why this happens: we are acting out of balance with the cycle of Nature. 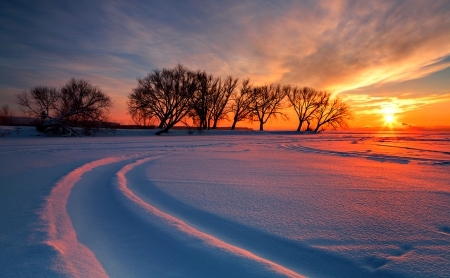 The year may tick over on the calendar but we are still in deep midwinter. We burn the midnight oil then try to start new projects when we would be better served by resting, recuperating and turning inward on ourselves. If you find this hard to think about in the run up to Christmas just look outside your window. Our natural world is resting. Animals are going to ground and hibernating. Trees are shedding their leaves to conserve energy. Movement (yang) is giving way to stillness (yin). Nature is storing up ready for the emergence of Spring in February. As a tea lover there is a tea which I feel is the perfect muse to bring us back in tune with this natural process. In China, autumn / winter is the time to drink ripe or shou puerh teas. Shou puerh also known as ‘cooked’ puerh is a tea that is fermented after production. The basic process involves piling the unrefined, astringent raw tea into a meter thick layer. It is then sprayed with water and covered with a thick blanket. Over 45-60 days heat builds in the pile of tea as it would do in a compost heap and ‘cooks’ the tea. The resulting tea colour is dark brown and amber with a liquor that is a thick and brothy. Good quality shou puerh has rich earthy flavours and aromas that recall Chinese herbs, red dates and the musty rainforest soil of Yunnan. It is deeply nourishing, sustaining and grounding. As with all fermented foods in Chinese medicine, shou puerh is known to benefit the stomach (aiding digestion) and to warm and nourish the foundational energies of the body (Kidney Yang / Gu Qi). But tea alone is only half the story. Just telling you to drink shou puerh relegates it to the realm of a superfood without context. If we take a beautiful tea and throw it on the ground it is just a handful of dirt. If we take the time to respect what Nature has given us and prepare, serve and drink our tea with an open mind and a attitude of reflection we can elevate an everyday experience to a sublime one. As the saying goes - chan cha yi wei - 'Zen and Tea are one flavour'. So if it’s not too late, ask Santa to bring you a nice new tea pot or even just put leaves in a bowl. Either way, create a small tea ritual to foster stillness from January until the end of winter. That way you’ll have plenty of energy when you can really use it. For your Chinese New Year resolutions in February. After Quantity (see Nourishing Life #2), the next most important aspect of ‘how’ we eat to pay attention to is the regularity of meals and the environment in which we eat. Our bodies love regularity and rhythm. We are natural beings and although all the wonders of technology allow us to operate 24/7, the closer we stick to a routine the happier our body and mind tends to be. Kids are happier with a routine and so is our digestive system. In Chinese medicine, the digestive system as a whole is referred to as the ‘Stomach and Spleen’ *. 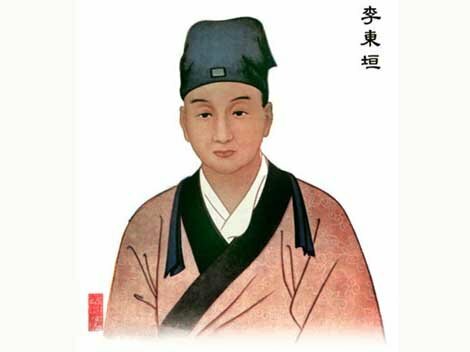 Li Dongyuan (1180-1252) headed a school of thought in Chinese medicine called the ‘Stomach and Spleen’ school where the health of the digestive system was emphasised as paramount. The nutrition and energy contained in food cannot be fully extracted without a healthy digestive system - a fact that was obvious to Li Dongyuan - and is borne out by the presence of many modern digestive disorders. *Capitalized organ names such as ‘Stomach’ or ‘Spleen’ make reference to the Chinese Medicine meaning of these organs. These are distinct from the anatomical organs and viscera we are familiar with in Western biomedicine for which I use the lower case spelling e.g. spleen, stomach. A weakened or compromised digestive system can give rise to chronic diseases which are suffered by 1 in 5 Americans. Common diseases include chronic constipation, diverticulitis, IBS, stomach ulcers, acid reflux and indigestion. The treatment cost for these diseases in the US in 2004 was $140 billion - a figure rising annually. In 2006, Americans spent $13 billion on antacid medications (e.g.Gaviscon, Rennies, Windeze) which help to treat digestive symptoms but fail to address the underlying cause of digestive discomfort. In the long run, this approach of treating the ‘branch’ symptoms but not the ‘root’ cause is ill advised as it may mask the progression of a more serious chronic digestive disease. The Chinese nourishing life guidance that follows suggests ways to look after our digestive system so that it remains the cornerstone of our health and longevity for years to come. Once again, this article draws content and references from Peter Deadman's book 'Live Long, Live Well: Teachings from the Chinese Nourishment of Life Tradition’ which I highly recommend. Eating smaller amounts of a nutritionally complete diet is (alongside drinking hot water) one of the easiest dietary changes we could make - but it is often one of the hardest. Calorie Restriction and it’s benefits for health, longevity and brain function are explained in ‘How to Eat - Quantity’. But how do we cut down on our food intake? David A. Kessler** - a self confessed foodaholic - in his book ‘The End of Overeating’ has real empathy for us all in this dilemma. Kessler’s book covers the ways in which food manufacturers ‘engineer’ foods to be optimally addictive and gives many social, psychological and neurological explanations for why we can eat too much. **I highly recommend Kessler as a pioneering advocate for the public in the face of big business. He took on the tobacco companies to get health warnings on packets, and lobbied successfully for nutritional information on processed foods. One of my favourite findings on overeating relates to the ‘visual cues’ that tell us when we are full. Up to a certain age babies are able to self-regulate how much they eat. They eat until they are full, then they stop. As a parent with a 15 month old I’m constantly surprised by how little my son needs to eat, but yet he is perfectly healthy and energetic. Things change when we are socialised at the table and are encouraged to clean our plates so as not to leave any food. We move from knowing ourselves when we are full, to having to eat everything that is put in front of us because it is polite or because if we do we’ll get a reward (often more food - like an ice cream!). The importance of this visual cue for ‘satiety’ (fullness) can become a problem as we can easily overestimate how much food we need. Bigger plates mean bigger portions and the potential to unknowingly eat more than we need. In one famous Cornell study, two groups were given bowls of soup to eat and asked to stop when they were full. Group A had a normal bowl of soup. Group B were given a bowl of soup with a false bottom hiding a tube that allowed experimenters to secretly refill the bowl. Group B ate 73% more soup than Group A before declaring they were full. Asked what they thought of the soup, some Group B participants even responded “It wasn’t very filling”. This study graphically shows the importance of making sure we put less food on our plates because we are socially conditioned to eat whatever is on it. The traditional boundaries of mealtimes have been eroded to such an extent that we can now eat anywhere, anytime. Fast food, Deliveroo and high streets lined with sandwich shops means the temptation to eat is ever present. In urban China this phenomenon is growing. However, in many parts of China, it is still seen as important for co-workers to stop, sit together and enjoy meals at regular times through the day. Eating anywhere, anytime means we can eat at our desk, in the car or walking along the street. Anywhere but at a table with a knife and fork (or chopsticks). This issue does not persist is Asia. In Japan it is considered bad manners to eat whilst walking. In China, for many eating in silence is still the the norm so that food can be enjoyed without interruption. Personally, I am a real advocate of taking a moment before eating to give thanks for all the work of man and nature that has made the meal possible. I’ve also spent many weeks on meditation retreats where silent eating is the norm. It is amazing how much more you appreciate food when you are able to give it undivided attention. Have you ever heard the saying - ‘The stomach has no teeth’. If we are eating the right kinds of food - whole foods - we need to chew them slowly tom make our food more digestible and allows our brain to accurately detect when we are full. Processed foods, are engineered to be both ‘hyperpalatable’ and easy to break down in the mouth so they can be swallowed before we’ve even registered them and reach for another. See David A. Kessler’s description of how a Snickers is created to do just that. Nourishing Inner Nature and Extending Life, 7th/8th Centuries. As the day wears on our digestion becomes more sluggish and slows down. The Chinese advice to move the body after eating is especially important after an evening meal and implies we should not eat close to bedtime. Mild exercise after eating a high fat meal has been shown in a Japanese study to reduce levels of fats in the blood more significantly than exercise before eating. Personally I can endorse this method as it is how I structure my mealtimes but I’m not a purist. The Italian’s do know how to live well and ‘la dolce vita’ incorporates a nice slow lunch followed by a siesta. This is ideally followed by an dense evening meal preceded by ‘la passegiatta’ - a stroll to work up an appetite. So whether you stroll before or after dinner depends on your preference . Or perhaps on your holiday destination. This article draws on the content of Peter Deadman’s ‘Live Long, Live Well: Teachings from the Chinese Nourishment of Life Tradition’ which I highly recommend you read for more on this broad subject. In Part 1, we look at what Chinese dietary wisdom has to teach us about how much we should eat for health, longevity and brain function. Chinese Medicine and the nourishment of life tradition - yang sheng - puts diet at the heart of any efforts to maintain good health, treat disease and achieve longevity. For most of human history our choice of foods has been restricted to what we could grow ourselves or buy locally. Nowadays, our food choices are endless. The barrier of traditional mealtimes has been eroded and we can - and do - eat anywhere, anytime. In the century since the most honoured guest at a Victorian banquet might have been the person who brought a pineapple, we can now find tropical fruits and other exotic delights in every local supermarket, year round. Modern nutritional and dietary therapy tend to focus more on ‘what’ to eat oftern with an equally dizzying array of superfoods and supplements to navigate. Yet one of the core principles of Chinese dietary therapy is ‘how’ to eat. How we eat is of fundamental importance to our health - a fact known to Chinese medicine doctors which is now being supported by research. Chinese health cultivation texts make many references to the importance of eating less, or put another way, stopping eating before you are full. The assertion by Sun Simao that this is ‘special method’ for prolonging life is supported by research into calorie restricted (CR) diets. CR diets have been used in laboratory studies to look at the effects of reducing calorie intake on health and longevity. In 1935, a study showed that rats who were put on a restricted - but nutritionally complete - diet attained ‘extreme ages’ beyond those of normally fed rats. Another study in mice in 1986 found that for every degree of CR there was an associated increase in longevity. In other words, the greater the restriction of their diet the longer the mice lived. The mice with the most restricted calorie intake lived half as long again as normal mice, reaching an average age of 53 months - the longest ever recorded lifespan of mice. In humans, studies into the impact of CR on our own lifespan are showing signs that CR can lead to beneficial changes to signs that predict serious diseases like cardiovascular disease and diabetes. These signs - known as biomarkers - show changes that include lower total cholesterol, lower levels of fats in the blood, lower blood pressure and improved blood sugar regulation. Other studies have looked at the impact of CR on our brain function as obesity has been linked to a higher risk of dementia and rapid cognitive decline in the elderly. Obesity in young adults has been linked to a lower density of grey matter in certain areas of the brain. CR has also been shown to increase the growth of new neural pathways and learning in mice and reduce signs of brain-aging in primates. It is important to note that all of these studies of calorie restriction included a diet of complete nutrition i.e. only the amount of calories were reduced not the nutritional content. The clear conclusion here is that we can be healthier if we eat smaller amounts, but these must be smaller amounts of highly nutritious food. Obvious exceptions are in the sick and the elderly. When we are sick or elderly we may lose our appetite and become undernourished. These are times when we should really pay attention to eating more calories to recover or sustain our health. This final point brings me to the topic of appetite. When I ask patients how their appetite is, the usual reply is ‘TOO GOOD!’ with a big sigh. This implies people are eating too much or too often. A healthy appetite means one where we sit down to eat genuinely hungry at set or regular meal times. Sitting down with an appetite means we will enjoy and savour our food. If we graze through the day through stress, boredom or cravings we can end up ruining our natural appetite and enjoy our meals less. Chinese wisdom on appetite says that we should arrive at the table hungry, and leave a little hungry too. Stick to the advice of stopping eating when 70% full. You’ll never have to count calories again and you might live longer to enjoy many more meals in the future. This post details important changes at the clinic as a result of new ownership of our practice premises in November 2017. If you are a regular patient at the clinic please read this information as it relates to booking, fees, appointments and reception hours. To avoid confusion …. my practice name remains The Oxford Acupuncture Clinic which operates out of The Iffley Clinic. The clinic rooms have been reassigned which means I am no longer using Room 4 - my usual home for the last 10 years with the lovely skylight. I am now practising in two different rooms - Room 3 upstairs at the back of the building and Room 2 on the ground floor. There is now a a full time reception team Monday - Saturday from 9am-7.30pm. Cindy, Anna and Suki are helpful, professional and very efficient. I’m pleased we have a full time reception team. It allows me to focus all of my time on helping you and means 100% of your appointment time is for your treatment rather than given over to any admin. Unfortunately, the new clinic system and my online booking system won’t talk to each other. Having live online booking via my website and and live booking at the clinic will lead to pandemonium (what a great word). So...online booking will be shutdown for now. The machines are coming...but the humans are fighting back. I will always suggest the best appointment length for you based on your clinical need. As a rough guide, if you are having regular treatment for an ongoing issue or for general health then a 30 minute appointment should be fine. If you haven’t been to see me for a while; have something new to treat, have an acute issue or prefer a longer appointment to relax - I suggest coming for 45 minutes. No-one likes this one … but after 4 years of free card payments I have decided to introduce a card transaction fee of £0.75. I make no money out of this fee. It all goes to the card company to pay for their next holiday. Cash, Cheque and BACS transfers are of course free of charge. If you would like to book a new appointment or change your existing appointment please email me or try out the new system by calling 01865 251 233.